The new year is a time for change, a time to de-clutter our living spaces and remove unnecessary possessions from our lives. 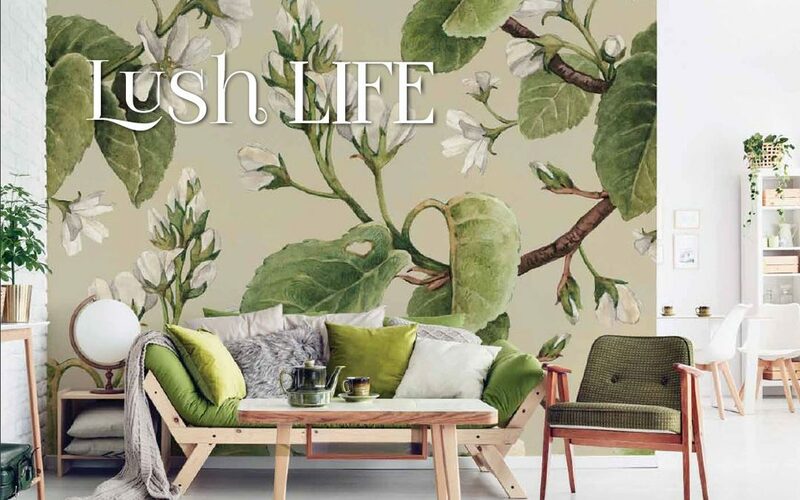 Jacinta Walsh explores how updating your interiors can be beneficial for the mind, body and soul – and your home too! In the warmer months we set about our lives with a renewed joie de vivre, and while there’s plenty of time for fun in the sun, many homeowners will take advantage of this newfound energy to reinvent or re-style their living areas. With self-care becoming all the more important in our fast-paced, highly digitalised society, it’s no surprise that people are creating dedicated relaxation spaces within their homes. The new year often prompts introspection, and in 2019 our wellbeing will remain in focus. During this time it’s important to take stock of our possessions and consider the items that might be weighing us down. While we can’t always control what happens in life, we can control the space around us, and sometimes this is all we need to feel a sense of rejuvenation. So if it’s your New Year’s resolution to reinstate balance in your living areas, read ahead as Western Australia Home Design + Living discovers how a fresh coat of paint, some new indoor plants, and layers of luscious textiles can inject life back into your home, all while enhancing your preferred decorating style. In our hyper-digital world, we often crave a safe haven to retreat to at the end of a long day. Creating a simple and understated living area with some interesting tonal differentiation is a great way to unplug from the outside world and reconnect with oneself. Tonal colour palettes that incorporate complementary variations of the same colour have gained momentum in the interior design scene for their harmonious effect. No longer restricted to muted creams and whites, tonal design extends itself to luscious greens, calming blues and the ever-delightful millennial pink. To achieve a tonal look in your home, you must first consider how the space will be used. Our living areas are typically reserved for respite, so it’s important to select a colour that will encourage calm – think cool blues and pastels. Try to stay away from warmer colours such as red and orange, as they are known to stimulate the brain. If you’re feeling stuck, you can always draw inspiration from the prominent pieces that you already own, such as your couch or curtains. Play with different textures while you accessorise with furnishings in the same hue, and tie everything together with a dynamic wall colour. Your walls should complement the furniture you have selected; if it’s dark, paint the wall in a lighter shade and vice versa. For a seamless finish in your living area, try your hand at painting old cabinetry in the same colour as the wall. If using richer colours, offset them with metallic accent pieces to balance the space. for those who are easily overwhelmed by busy surroundings. Plants are a great way to improve the air quality in your living area as they naturally remove pollutants by absorbing them through their leaves. The right flora will balance your tonal interior, so it’s important to select plants that will suit the space, as well as your lifestyle. With a bit of love and care the following plants will bring life to the simplicity of their surrounds. Devil’s ivy: For those who struggle with plant care, this is the option for you! With heart-shaped foliage that grows in a vine-like manner, devil’s ivy can add a lush touch of greenery to your interiors when grown in hanging baskets, tabletop planters or on small trellises. It thrives in bright areas and will do well in direct sunlight, as long as it is watered sufficiently. It will add character to any space and grow all year round. 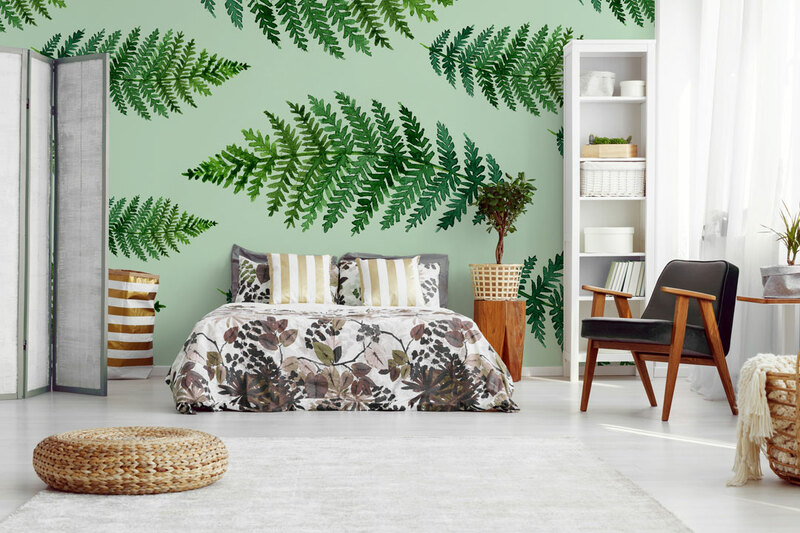 Monstera deliciosa: Considered the new fiddle-leaf fig, this plant’s iconic split leaves are gaining popularity in the interior design scene as they are suited to a variety of furnishing styles. Monstera deliciosa or the ‘Swiss cheese plant’ is easy to look after, and can grow to an immense size when given the correct care. Keep it away from direct sunlight, which may scorch the leaves, and ensure that the soil is kept well-drained. your calathea in a well-lit area, but away from direct sunlight, and water it daily in the warmer months to ensure that the soil remains moist, but not soggy. If you’re new to the plant game, don’t worry; this plant is known for its communicative powers! Notorious for its movement throughout the day, its leaves will begin to curl if it hasn’t received enough water. To promote growth, cut off any brown leaves as they appear. Mid-century modern interior design will speak to those who are bold (and old) at heart. Referring to the design period between the 50s and 70s, modern styling seeks to bridge the gap between man-made and organic design, while embracing the union of indoor and outdoor spaces. To achieve this look in your own home, begin by assessing the furniture that you already possess. Does your current aesthetic have a vintage quality? If so, then modern styling might be a great way to refine your existing living area while highlighting the pieces that you already own. Alternatively, there are plenty of furniture stores that stock modern décor – or you can try your local op shop for pre-loved options that won’t break the bank. which will harmonise when used in conjunction with each other. For a new take on modern design, try a combination of light flooring and metallic accents set against a dark green feature wall. Dress with teak, walnut or rosewood furniture for a subtle nod to yesteryear. Aside from paint, wallpaper is also a great, cost-effective way to add texture and visual interest to your interior. 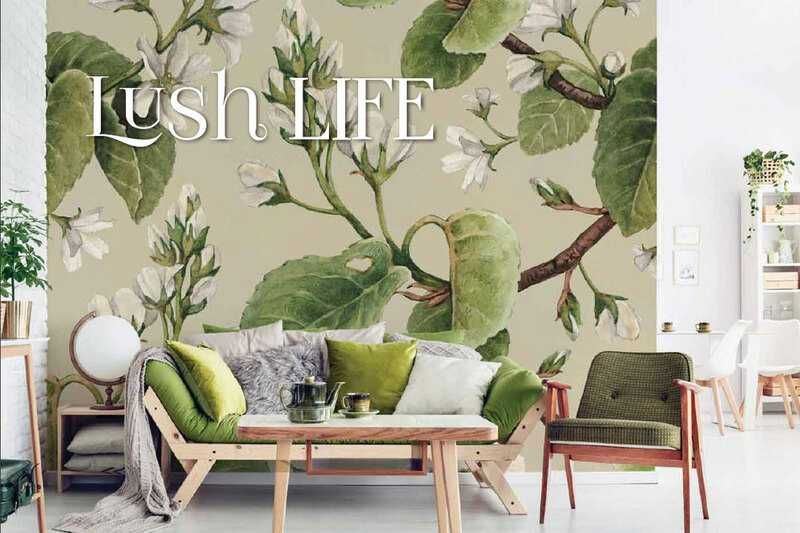 Pixers’ leaf-motif wallpapers are a perfect substitute for those who wish to include greenery in their living area, but lack a green thumb. Other great mid-century-inspired options include geometric patterns and metallic foils. Stylish plants are a must in any mid-century modern space. Assess the colour choices that you have made, and select your plants accordingly. Mid-century modern design has a strong connection to nature so it’s important to create a seamless transition between your indoor and outdoor spaces. Darker varieties tend to suit the mid-century modern palette more than their brighter counterparts, which can look out of place next to vintage pieces of furniture. Ficus elastica: Also known as the ‘rubber plant’, this waxy shrub is olive green in colour. It thrives in well-lit areas but out of direct sunlight, and likes well-drained soil. If you’re unsure whether to water your ficus, press your thumb into the soil; if a few specks of moist soil stick to your thumb then there is no need to water it, however if your thumb comes out dry it’s time to give the plant a light sprinkle. Dieffenbachia: With a beautiful mix of yellow, green and white foliage, this plant prefers warm environments that stay above 16C°. When it comes to watering, it is better to keep it on the dry side. If it becomes too dry, place it in the bathroom, where the humidity will help to revive its leaves. This plant won’t be suitable if you have children or pets as the sap may be poisonous if ingested. If you’re the type of person who takes comfort in busy surfaces and couldn’t bear the thought of ridding your home of your lovingly collected possessions, then fear not! Decorating can be a curative experience; a chance to display and enjoy a collection of items that hold significance for you, as is the case with bohemian or ‘boho’ styling. Originating in the 1700s, boho styling was inspired by the unconventional, nomadic lifestyles of travelling artists across Morocco and Eastern Europe. With their eclectic fusion of colour, texture and pattern, boho homes are often comparable to a museum in their accumulation of intriguing artefacts. Boho living spaces are usually inviting, busy, interesting, and textural. 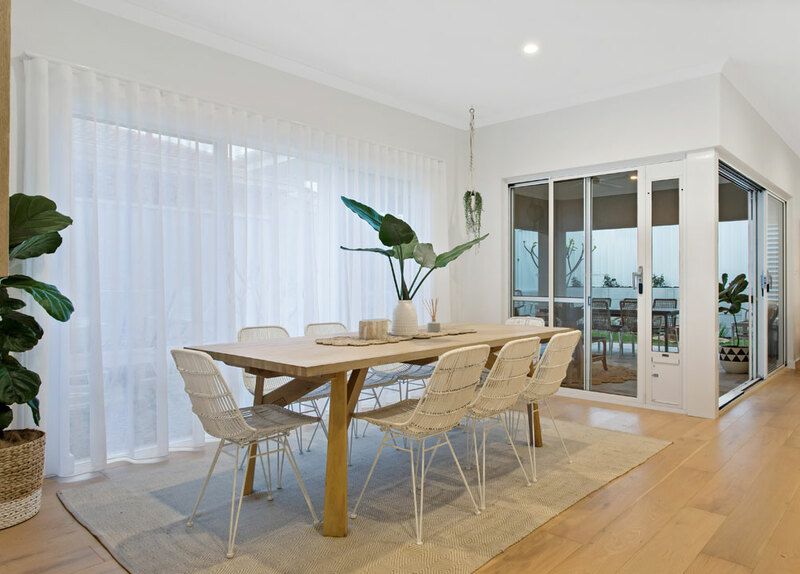 To achieve this aesthetic, consider pairing white walls with white-washed timber floors to produce a textured base palette, before adding rich-coloured textiles and novelty items to your living area. When it comes to boho, combining old and new elements will achieve an appealing blend of shabby and chic. It’s a brave choice, but when done right it can be wonderfully warm and welcoming. Try your hand at upcycling a piece of furniture or incorporating reclaimed wood in tandem with natural fibres like woollen cushions, macramé hangings, and rugs. Boho interiors are known for their tendency to resemble a greenhouse, so feel free to bring the outdoors in with an abundance of plants. Hanging plants work well in these spaces as they create height and draw the eye away from the traditionally low furniture. Succulents are also a great choice, as they contribute ruggedness to the rich aesthetic. Why not go the extra mile and create a sunroom in which to grow and care for your plants? Placing your plants together in one room will not only encourage growth but also keep the space looking extra lush. It will provide a little sanctuary for you to enjoy at the end of the day, and on the weekend it will be the perfect place to just relax, read a book, and enjoy the sunshine. String-of-pearls: As the name suggests, this bulbous, cascading plant resembles a string of pearls. This vibrant creeper is an easy succulent to grow indoors, particularly in hanging baskets. It responds well to sunlight, can survive long periods without water and is easily propagated. Pruning may be required to control the shape and overall appearance of the plant, but it can also be left alone to achieve a more haphazard look. Sansevieria: More commonly known as “mother-in-law’s tongue”, this succulent will add structure to an eclectic interior. Characterised by its stiff, upright leaves, mother-in-law’s tongue will add height to your collection of leafy ground-level friends. Feed it occasionally and it will grow throughout the year. Preferring a desert climate, this plant doesn’t need much water. However, it will adapt well to the lower levels of light in your living room. Aloe vera: Known for its medicinal purposes, this succulent also makes for a great houseplant. Its thick leaves fan out from its central stem, creating a dynamic shape. Place it in indirect sunlight and ensure that the pot allows for proper drainage, as its biggest killer is root rot, which develops as a result of being exposed to damp conditions for an extended period of time. 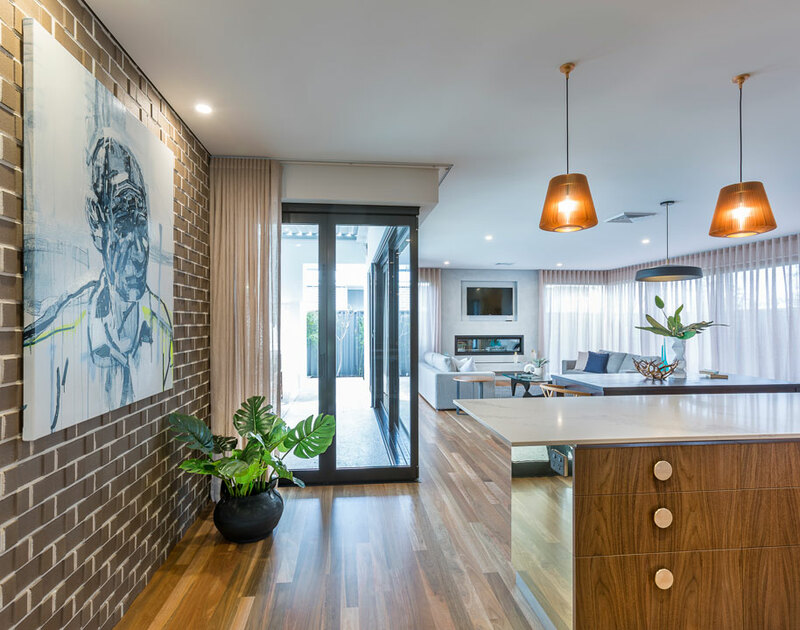 Regardless of your personal tastes, there are always ways to re-energise your home. Whether you take inspiration from free-spirited furnishers, tonal tranquillity or the homemakers of yesteryear, there are plenty of ideas out there to harness the rejuvenating power of the new year. Investing in your home means investing in yourself, and what better way to spend the warmer months than fulfilling a New Year’s resolution that will benefit your wellbeing every day!